Over the last weeks of heat wave, I wished I could lay down outside to read when it was simply too hot to do anything else. I mentioned this to my husband and magically he had a solution. 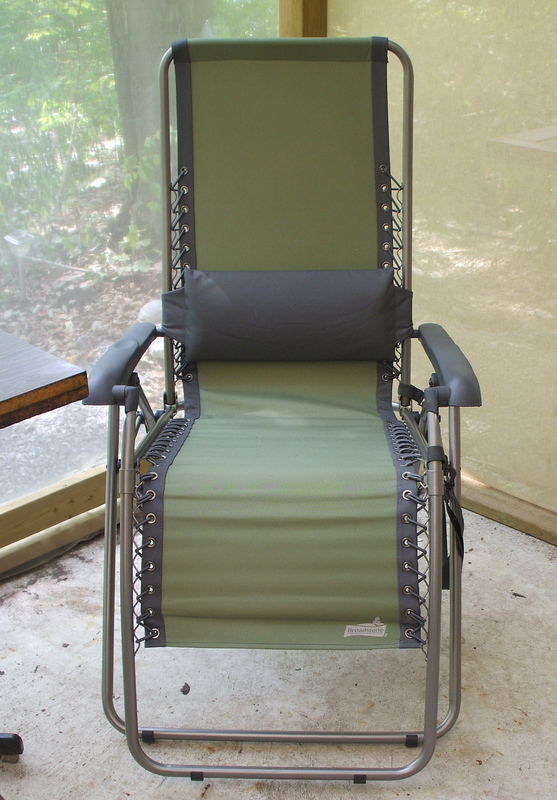 A zero gravity chair. $50 (at Canadian Tire) I believe, he said.